Alpacas were close to annihilation after the Spanish conquest of the Incas. That they survived was due to their importance to the Indian people, and to the animals' ability to tolerate extraordinary harsh climatic conditions. 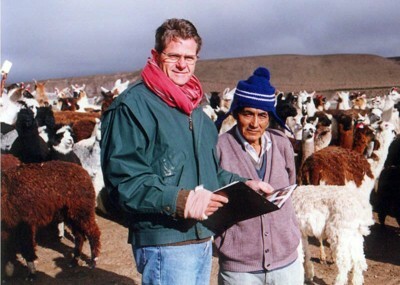 It was not until the mid-1800s that the beauty and resilience of alpaca fleece was 'rediscovered' and re awoke the world's interest.Today, alpaca farming is concentrated in the Altiplano - the high altitude regions of the Southern Peru, Bolivia and Chile. In 1984 the United States and Canada imported their first alpacas, followed by Australia and New Zealand in 1989. These countries with their temperate climates and more sophisticated animal husbandry techniques, have proven beneficial for the improvement of the species. There are now approximately 140 000 alpacas in Australia, 110 000 in the USA and 20 000 in the UK and Europe.